Fishing for trout is popular nearly all over the world and there are many reasons for that. Trouts come in a surprisingly amount of variations and sizes and provide a decent fight once you try to reel them in. No obstacle that can’t be climbed and no passage that can’t be waded across. Anglers walk miles alongside rivers to find the perfect spot and catch that steelhead of a lifetime. Often denoted as a form of art or religion, there are a lot of different factors you have to consider if you want to optimize your trout fishing game. Definitely one of the most important ones is, that you choose the best fishing line for trout. You could have the perfect fly on your line paired with world-class casting technique, if you did not choose a good trout fishing line setup, your chances of landing the fish will sink notably. The reason behind that is, that trout have remarkable eyesight, way better than most other fish you can catch in freshwater. The physiology structure of their eyes is similar to the eyes of humans and additionally they have the ability to detect ultraviolet frequencies. Nevertheless, a fly that we perceive in a darker color can still look completely different to a trout eye, since they see colors in another way. They possess monocular and binocular vision, giving them the ability to see in the opposite direction of where they are facing. Another slightly scary fact is, that they can see in almost every direction at the same time. They can move their eyes independently, making them remarkable predators. For a lot of interesting trout facts, I recommend wildtrout.org, a website dedicated to this popular game fish. Understanding and knowing your prey will be beneficial for your success. Trout can see fishing line and even the slightest hint of a line attached to that juicy looking fly or lure and the fish will be suspicious, quickly losing interest in getting caught. Trouts are “line-shy”. Keeping that in mind, it is definitely beneficial for your success, to choose line, that’s barely visible, as soon as it enters the water. This is the case for most of the lines out there, which are made for freshwater fishing, but there are other factors you should take in consideration if you are looking for the best fishing line for trout. After hours of stalking down your prey, slowly walking along the river in sometimes really uncomfortable conditions, you finally get that bite that feels like the fish of a lifetime. The last thing you want to happen now, is a line breaking down under the challenges of a fight between you and that catch you want to get out of the water. Not only that words can not describe the terrible feeling, when you lose a big fish, the thought of a fish that has to deal with a hook and meters of line attached to his mouth is more than unsettling. Nevertheless, there is also one major reason against picking a too strong trout fishing line setup. With unnecessarily heavy line, comes unnecessary visibility that might have lead to the fact, that said fish of a lifetime would not have felt enticed to your perfectly placed fly in the first place. As mentioned earlier, trouts have great eyes and are picky. Especially during season, there is enough food to choose from, that generally looks tastier than the fly you have to offer, and most importantly is not attached to a weird looking plastic line. Another relevant factor you should take into consideration is your own skill level. If you just started out in this sport and do not have a lot experience in fighting fast and unpredictable moving fish, it is wise to choose stronger line. The reason behind that is, that landing a fish is only half of the game. Trouts fight surprisingly hard for their size and if you do not know yet, how to act accordingly to that, the chances that your line will break are significantly higher. There is no point in targeting fish with barely strong enough line if you can’t reel them in. Additionally, stronger line will be more forgiving when your lure somehow ends up in a tree on the other side of the river or gets stuck in dead wood deep in the river. Do not underestimate how often that could happen to you as a beginner in this sport. When you try to free the hook with a few firm pulls, a stronger line can make the difference between getting quickly back to fishing or losing your fly/ lure and line, forcing you to renew your complete trout fishing line setup. A stronger line can prevent a lot of frustration. 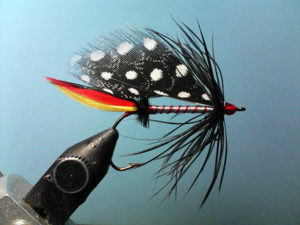 One thing relevant only for fly fishing is the perfect and realistic presentation of the fly. Once again, trout are suspicious and hard to entice. The wrong line, too stiff and heavy for the fly you are using, can cause unnatural movements reducing the chances of a bite drastically. A common rule helping you here is to divide the size of your fly by three. The result is the appropriate tippet weight. Do not get confused here, the bigger the number describing the size of they fly, the smaller is the actual hook. A 4X tippet will behave naturally and presents your size 12 fly best. This translates to 6lb test line. The “X” system is used by manufacturers to provide information about the diameter and the weight of a fishing line. It commonly starts with the strongest line 03X (25lb) and ends at 8X (1.75lb). You do not have to remember their strength in pounds since it is always additionally mentioned on the packaging. No matter if you are looking for the best trout fishing line for spinning reels or you plan on fly fishing, it is best practice to pick a strength according to the weight of the fish you are targeting (, the fly you are using) and your skill level, if you are looking for the best fishing line for trout. Line thickness plays a major role in your fishing game and is nothing you should underestimate. Trouts come in all different sizes and variations. Regardless if you target speckled, brown or rainbow trout, it is important to know enough about the waters you are fishing in, to predict the needed line weight. Suitable line weight for trout is usually between 1.75lb and 8.5lb, as long as you do not plan on catching steelhead, where you should aim for 13.5lb to 15.5lb test line. Once you have made a decision in terms of which line weight will fit your needs best, you can choose between several materials. The two most popular are monofilament and fluorocarbon. They both have different advantages that are worth knowing before you make your purchase. Some like it, others do not: monofilament stretches under drag. 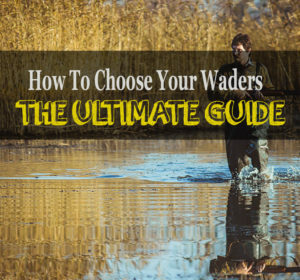 This can be beneficial in some situations, especially for people that are fairly new to fishing. If that is the case, there is a good chance you don’t have a lot practice with fighting fish and reeling them in. Stretching line will be more forgiving on wrong movements on your part and also absorbs some impact of strong strikes. The downside is, that you will not feel strikes as fast, giving you a bit less time to react and set the hook when you do not have clear vision on your fly. Monofilament is more buoyant than most other materials used for fishing lines, making it the perfect choice for dry flies. Fluorocarbon is also more durable than monofilament. While you can see old monofilament fishing line break way easier than new, you won’t see that big of a difference with fluorocarbon. One thing that should be mentioned though is that if knots are not tied correctly, fluorocarbon is less forgiving. Prevent this by making sure to lubricate your knots enough when you tighten them, avoiding the development of too much heat. Otherwise, the weakest point of your trout fishing line setup will be the connection between fly and line. If you plan on fishing with streamers, the faster sinking material is a better choice and fluorocarbon is generally less visible underwater. The material itself is stronger and if you compare the looks, you can find 12lb strong fluorocarbon that looks like 4lb monofilament. Therefore even stronger lines will remain fairly invisible, which is a huge advantage for a fishing line for trout. As you can see both materials come with advantages and disadvantages. After reading this you should be able to make a decision for yourself appropriate to your preferences. When you compare both materials in shops, you will notice a price difference, since fluorocarbon is more expensive. If the attributes of said material appeal to you though, spending the extra money is definitely worth it in the long run. With the information provided here, picking the right fishing line for trout should be easier. Keep in mind that there are several other factors that influence your success. There is a reason why even seasoned fisherman still enjoy the sport of trout fishing year after year. There are not much fish as picky as trout and nothing is comparable to the feeling of catching the steelhead of a lifetime. There is always something on your setup and technique that can be improved and the way to becoming a perfect trout fisherman is a long one. Nevertheless picking the best fishing line for trout is a solid first step and will bring you closer to your goal. Way to clear up with all the myths around this topic. Nothing but fluorocarbon for me. I like to use a bit more line weight than necessary and fluro hides that pretty well. Definitely the best fishing line for trout, they are soooo suspicious.